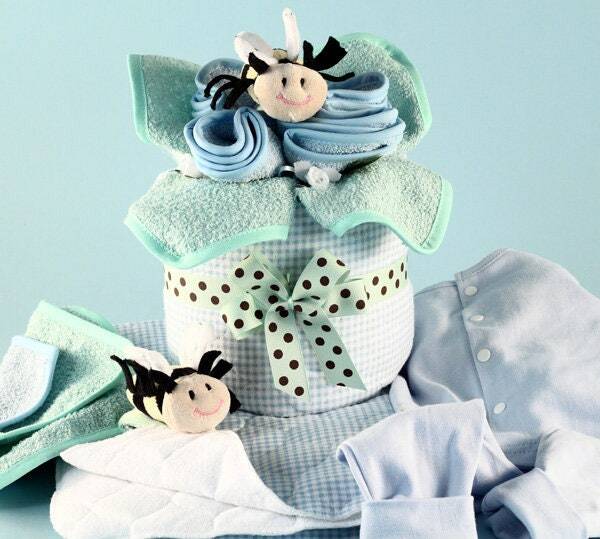 Anytime of the year is the right time to give a Baby Blossoms Layette gift for a newborn baby boy. Pretty as a bunch of fresh flowers and creatively presented, this is a wonderful baby gift filled with essential layette items. The most notable of the many components is a quality 100% cotton interlock 2-piece outfit that will have baby looking his best. So no matter what time of year it is a Baby Blossoms Layette gift is in season.